Progress continues! We now have a more clear view of the location of the elevator in the basement, main floor and second level of the Banque d’Hochelaga! Barrier-free access is only a few months away, check out the pictures to see where the elevator will be located! 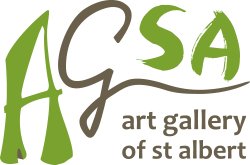 Thank you for your continued support of the Art Gallery of St. Albert, we cannot wait to be accessible to all in the fall!